Tripp-Lite Internet 750U. The energy efficient, Internet 750U standby UPS system is perfect for protecting equipment like computers, point of sales systems, wireless routers, and modems in your home or office. It provides reliable battery back up during power failures and protects against surges and line noise around the clock. This low cost 750VA UPS also includes surge protection for your phone line to protect fax machines, dial-up modems, DSL modems, pay-per-view connections, telephone systems, and more. If you'd like to change settings or view power conditions with your computer simply connect the UPS to an available USB port. You can use Tripp-Lite's free power alert software or your computer's built-in power management tools. If you want an easy to use, economical UPS with phone line protection, order Tripp-Lite's Internet 750U. Make sure your important systems like modems and routers stay protected with the help of Tripp-Lite's 750U UPS system. This device will protect against surges and power failure so you can be sure your machines, and the information they store, remain safe and protected. 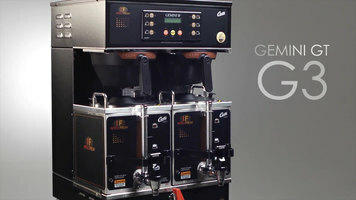 Learn about the intuitive system used inside the Curtis G3 Gemini coffee brewer! 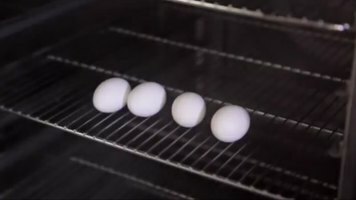 Chef Thom England from Ivy Tech shows you how to make the perfect egg time after time using the Combi Oven from Hobart. This video shows you how to clean your 1300 series Lincoln Impinger oven. Learn how to tidy up the exterior and interior of your oven to keep it looking spick-and-span!